I spoke to you a couple of months ago about a new monthly feature that I wanted to implement on my blog. I have had so much joy from this blog and I want to, in my own small way, give back some of that joy by helping others. My idea is to promote those smaller charities that you have not necessarily heard about before. The large charities, although very important, get a lot of press and donations whilst the smaller ones, which need help just as much, can sometimes be unnoticed. Today I want to feature Home Start - St Albans City and District. Home Start support families in need who have children under the age of 5 by way of volunteer visits. All of the volunteers at Home Start have parenting experience and they assist families who need practical help and assurance, breaks for parents as well as practical support with local services. "Being a parent can be hard at the best of times, but imagine parenting when you have a mental or physical illness, a child with a disability, no family or friends there for support; or when you are living in poverty or debt. This is the reality for many parents. The weekly support provided by Home Start's fully trained volunteers has been described by families as a "lifeline". Our early intervention reduces family breakdown and crisis and helps parents five their children a positive and settled start start in life." Home Start is a nationwide project but I wanted to promote the St Albans City and District Project in particular as I have learned that they have recently lost all of their Council funding and as a result they are in dire need of funds. 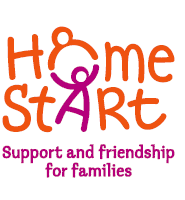 Home Start need to raise the sum of £40,000.00 over the next 5 months in order to continue with this much needed support for families.